I grew up in Georgia. My dad first introduced me to the word "entrepreneurship" when he caught me trying to sell my old toys when I was 10. He told me, "You can work for someone else. But, if you do, know that you will always be dependent on someone else for your living. And, one day, they might think that you are not useful anymore." Entrepreneurship is an ingrained concept in my head; it has always been my dream to one day start my own company to leave a lasting impact on the world. But I didn't really know what it all meant until I arrived as a business student at the Georgia Institute of Technology in August 2014. But this past summer wasn't just the program. With only 10 weeks in the Bay Area, I was absolutely determined to make the most of my summer. I didn't know a lot of people there at first, so I joined The Intern Project and help start an online Slack community for interns in the Bay Area. It grew from just 5 people initially to over 2000 by the end of the summer (I considered it a success). I attended as many (free) workshops and meetups that I could go to without my introvert half dying on the inside. 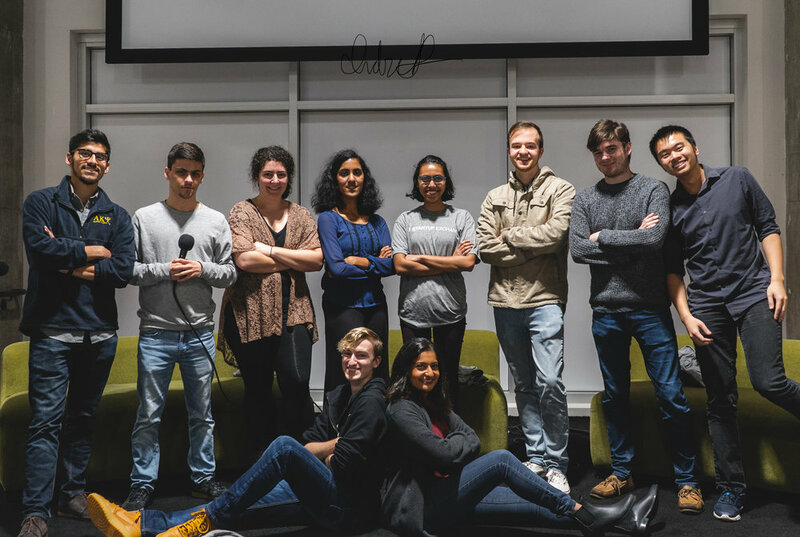 I learned a great deal about startups and venture capital and somehow became a venture partner at Contrary Capital, a university-focused venture capital fund with partners at over 50 universities across the country. I also explored the Bay Area and grew to love the region, even despite its many faults. For some reason, almost everything that I ate had some form of avocado in the dish. Not that I minded, of course. That summer of 2017, we ran Elevate Media full time, building the company to nearly 6 figures in revenue within several months from virtually nothing and working with some pretty cool clients. We even hired people for the first time, which was a pretty weird experience. We learned a lot. The 4th year of college came faster than I expected. Suddenly, I was running Elevate Media, working as a venture partner at Contrary Capital, building a new initiative at Startup Exchange, serving as a teaching assistant for a class at Georgia Tech called Startup Lab, and still trying to balance classes and all. The latter half of 2017 was busy as hell, but it was thoroughly enjoyable. I enjoyed everything I was doing. I was learning a ton about venture capital through my work at Contrary Capital as I looked for university startups to invest in on campus. Together with my co-director Garrett, we launched the CORE initiative, a private community of student founders at Georgia Tech. Wesley and I got more work done with Elevate Media in several months than we had done in the past two years. I even spoke at TEDxGeorgiaTech about overcoming personal inertia, something that had been a goal of mine for years! Yet, despite it all, something felt off. I was enjoying myself, but there was a sense of mild dread as I headed towards my graduation in spring 2018. But what could it be? Building the university entrepreneurship ecosystem at Georgia Tech through Startup Exchange and Contrary Capital had been instrumental to my college experience. I met some really cool people along the way. But I had gotten antsy over the years, and I realized that it was time that I focused less on building up entrepreneurs and building my own journey as an entrepreneur more. Adding to that, I learned that marketing and videography alone aren’t what I’m truly passionate about. It had been a lot of fun--a big learning experience--but Wesley and I were ready to find something else to work on (though we still intend on running Elevate Media after college). I found that I was particularly passionate about education, and that became the goal of what I wanted to be involved in the future in some way, shape, or form. College is a period of time where people soak up lots of knowledge, go to a bunch of places, and meet many different people. We spend years picking up new skills, honing our talents, and building our networks. And for what? To go work at a big bank? To write code for a food delivery app? To work in IT? We’ve spent so long at these amazing institutions, yet everything we build goes to what I consider less than noble goals. In the winter of 2017, I realized that I want to dedicate my efforts and talent to solving bigger problems in the world. We've caught up to the present. I'm still working on Elevate Media, Contrary Capital, and Startup Exchange, but I've opened myself up to exploring new avenues of growth and opportunity. Wesley and I are working on a side project or two as we chart our new course into the future.